We design and build our own computer systems and servers using the highest quality components with the latest technologies. This gives us the ability to deliver high performance systems designed to maximise your applications, at every level the systems are bespoke to your business. We also have spare parts waiting in the unlikely event that you have a hardware issue which means we can respond quickly to hardware problems. 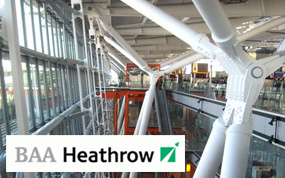 Our 3D Modelling Systems were used to design and detail the impressive steel work concept for Heathrow's Terminal 5. The 3D Modelling Systems were built to maximise the customer’s application software making the design process as efficient as possible.